filets. With your fingers, lightly coat entire dish with oil. Set the dish aside. of the bowl to jar loose excess flour, and set the pieces aside. Discard flour. push out the air. Seal bag(with as little air inside as possible) and crush flakes with a rolling pin. Open the bag and pour the crushed flakes into a wide bowl or a plate. 4. In a large bowl (big enough to dredge catfish filets) mix the buttermilk, mustard, spices, and herbs. Give each floured filet a good buttermilk bath, then roll it in the corn flake crumbs. 5. 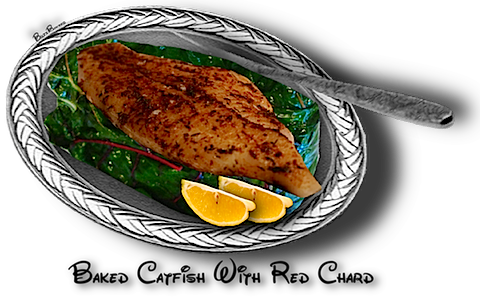 Arrange catfish in the oiled baking dish and place in hot oven. Cook until crispy (10 to 15 minutes).